“My yoke is easy, and my burden is light”. How many of us quote these words of Jesus, thinking they should be a comfort, and yet knowing in our hearts we don’t believe it? We want to believe it, but the bewildering truth is that we don’t find it to be true in our experience, nor do we see it to be true in the lives of others. These days the thought of being yoked to any religious culture is likely to make many people grit their teeth to resist. After all, religion is at the root of so much trouble between humans. My impression of a yoke has always been about carrying a burden alone. I think back to a time when I lived in the Far East. 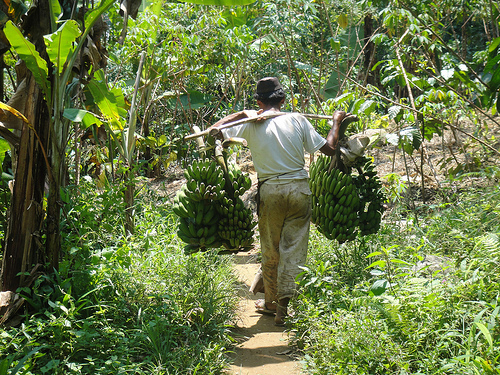 Men of all ages travelled about carrying their goods strapped to a rod over their shoulders. The loads were clearly heavy. They trotted along with a distinctive light-footed, bouncing step that set up a rhythm to keep the pressure of the load off their shoulders as much as possible. The heavier the load the faster they trotted. So why would Jesus use a yoke and a burden as a metaphor for his relationship for us? We can see that the metaphor is relevant for life as most of us lead it today. We are bound, or yoked, to all sorts of things – our relationships, our possessions, our work. And we know what it means to be burdened. Who hasn’t felt weighed down with responsibility or burdened by guilt? We rush through life to avoid giving attention to the things that weigh us down. Being busy becomes an excuse for living with chaos. So what can Jesus mean when he talks about his yoke being easy and his burden light? 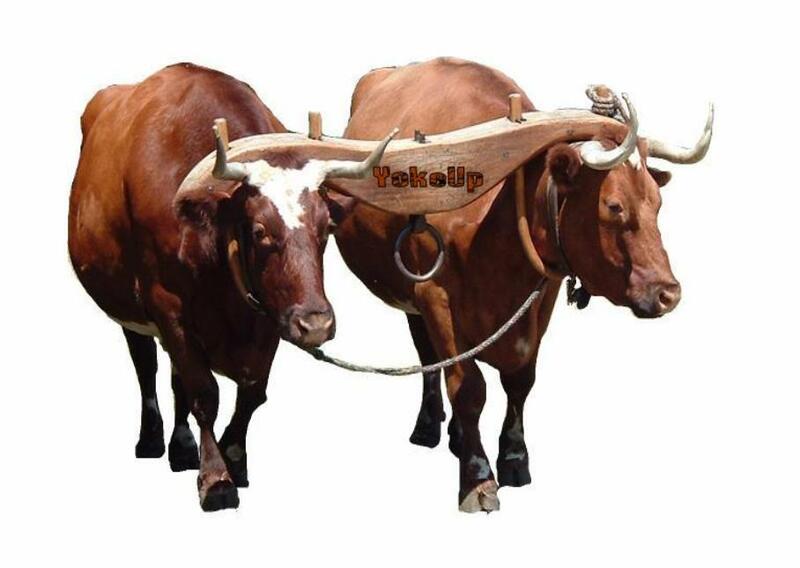 Recently I discovered that the yoke Jesus would be referring to was a double yoke used to link oxen. As a carpenter he is likely to have made many of them and been familiar with the need to match the yoke to the oxen. Suddenly the metaphor feels completely different. Jesus is inviting us into his yoke with him. When Jesus spoke about his yoke, he was talking to people who were weighed down by the burdens placed on them by the religious leaders of the day. These leaders would “tie up heavy burdens , hard to bear, and lay them on the shoulders of others”. He was speaking of the burden of religious rituals and rules that were added to the laws, making them unachievable. Having no chance of ever being good enough is an impossible burden to bear. But Jesus spoke tenderly to the people who were worn out on trying to be good enough. He knows God and he knows how to get close to Him. He is willing to spell it out slowly and clearly in a way that we can understand and follow. Reading the words in the Message translation of the bible help us to understand what Jesus is saying. If you want to know God, the more you think about what these words mean the more attractive Jesus’ yoke feels. You can take advantage of his strength, wisdom, knowledge and experience. You find yourself slowing down . . . a burden shared is lighter. You glimpse the possibility of learning to live freely and lightly. Yes, perhaps it can be an easy yoke. Scrolling through the posts on the blog, you will notice long gaps between entries. I had two false starts to launch the blog and disappeared off-line for long spells. And yet I have never lost the drive to explore this subject with you. It matters too much to me. The trouble is that the more I explored what having life to the full was all about, the more I realised what a huge challenge I was taking on, and the less I felt equipped to take on the task. Fear is not a generative emotion. I knew I needed a mentor but I didn’t know who to ask. The most helpful comment came from a friend whose opinion I trust. “Maybe you are simply waiting for the wave” he mused. His surfing metaphor became an aha moment. I have been standing on the edge, pumped up and longing to get going, but powerless until the wave comes. The wave that brings energy, order and direction to my cluttered thinking. Waiting and preparing became exciting. The wave came in the form of a group of women who write. Individual, creative, inspiring and beautiful women. Each with a story to tell, challenges they live with and a heart to share together. Their energy and support has launched me into the wind. You will meet them along the way. “My time is not yet here”, said Jesus, when his brothers encouraged him to go public with his ministry. The word he used was kairos which means the right moment or season. He did not respond to pressure from other people’s perspective. Nor did he take matters into his own hands to manipulate and outcome. His attention was on a bigger picture which gave him inspiration to prepare and courage to wait for the season to arrive. Within the waiting there is a challenge to prepare and be ready when the wave arrives.